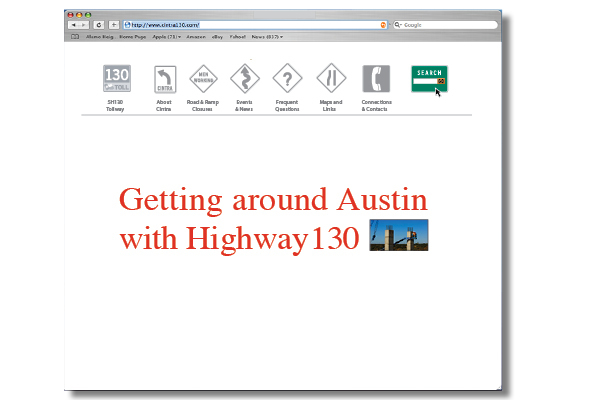 Landing page for web site created to make people aware of State Highway 130 and construction progress. Created for Tate Austin and Dandy Idea. 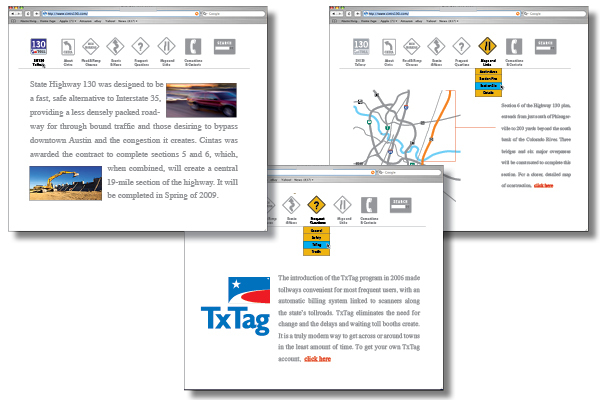 Three section pages for SH130 site. The goal was to create a very light, easy to navigate site with simple, easily understood messaging.